Wolf-Garten Basic+ Bypass Secateurs designed with non-stick coated bypass blades, suitable for precise and clean cutting of 18mm thick dead-wood or plant stems. 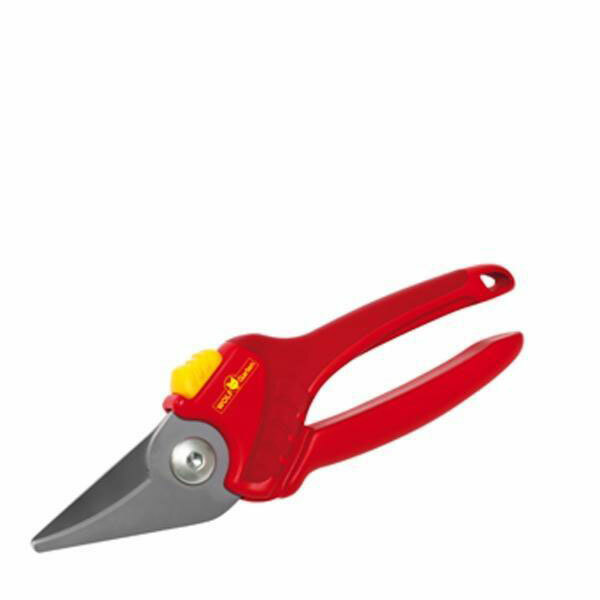 Wolf Garten's entry level model Secateurs with comfortable power transfer, are the first to feature a safety rest position for the thumb. Wolf has cleverly positioned the vital 'Spring' internally on these Secateurs to reduce the risk of coil damage. Designed with a blade lock button for safe stow away in a gardeners pocket, and Wolf have ensured these Secateurs are usable by left and right handed users.